Speech and Language Therapy involves assessment, assistance with diagnosis and treatment of human communication disorders. Human communication disorders include impairments in speech, language, voice, fluency, communication and swallowing. 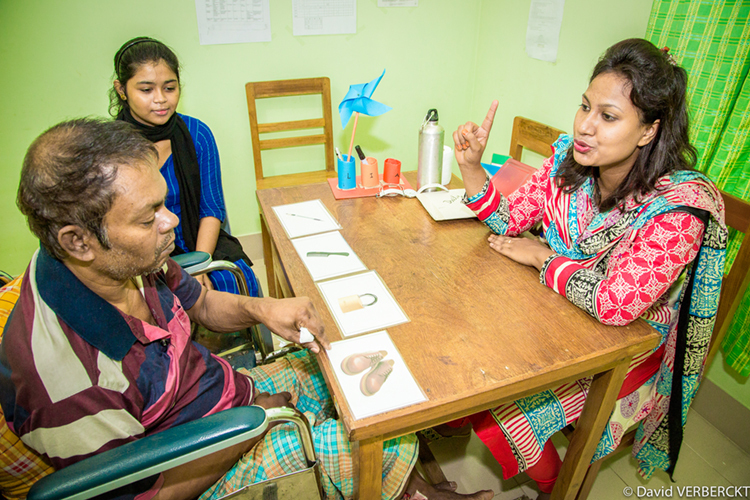 Speech and language therapy is an established profession in many countries all around the world but is still very new in Bangladesh. Speech and language therapists are working with patients who demonstrate the following conditions. 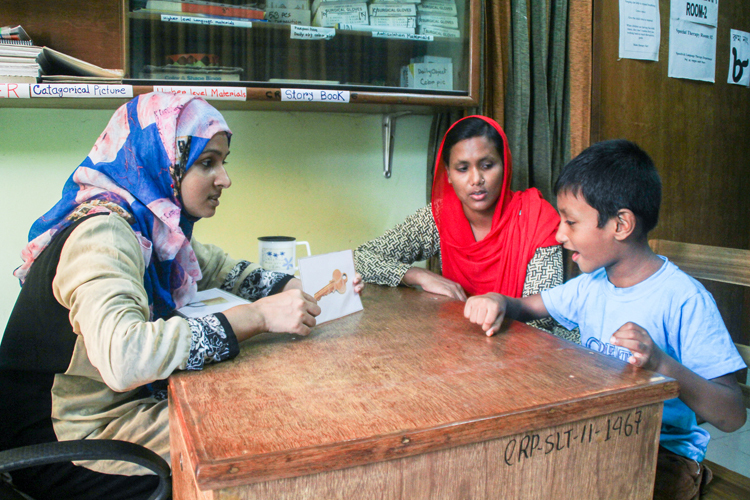 There are Speech and language therapy departments in both Savar and Mirpur. Peadiatrics: Cerebral palsy, speech delay/disorder, language delay/disorder, articulation and phonological disorder, cleft lip and palate, hearing impairment, stammering/stuttering, Autism Spectrum Disorder (ASD), Attention Deficit Hyperactive Disorder (ADHD), Down’s Syndrome, children with eating and drinking difficulties. Therapy includes working directly to promote speech and language as well as educating families, teachers and employers about the needs of people who find listening, talking, reading and writing difficult. In many cases, individuals are taught to use a mixture of ways to communicate (gestures, picture books, symbol boards as well as speech) to make communication more effective. 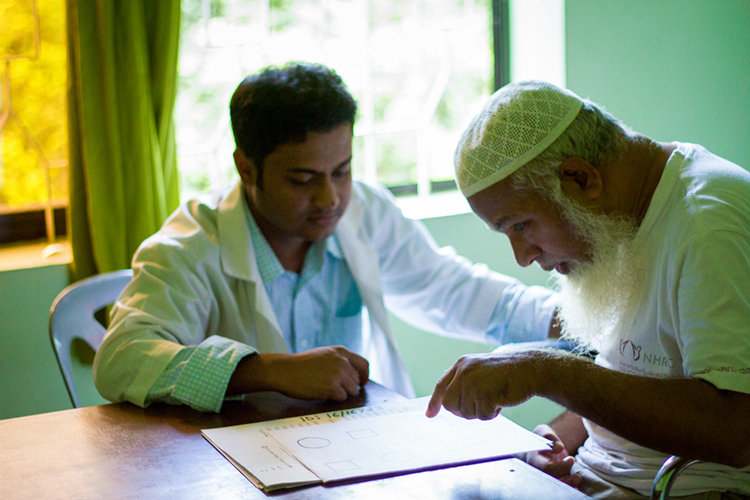 CRP’s academic institute ‘Bangladesh Health Professions Institute’ provides an educational program for obtaining B.Sc. in Speech and language Therapy. Speech and language therapy department receives support from different countries around the world. Many experts from Canada, Australia, UK, USA have helped with training and establishment of the new profession in Bangladesh. Speech and language therapists from these countries regularly work as volunteers in CRP and support the department.